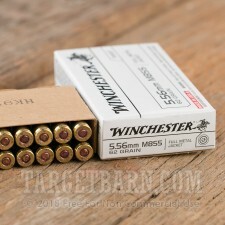 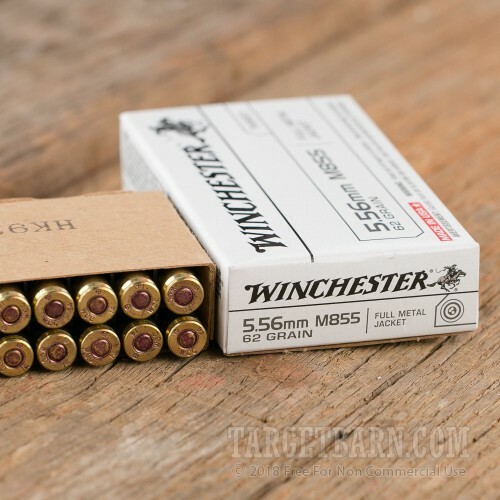 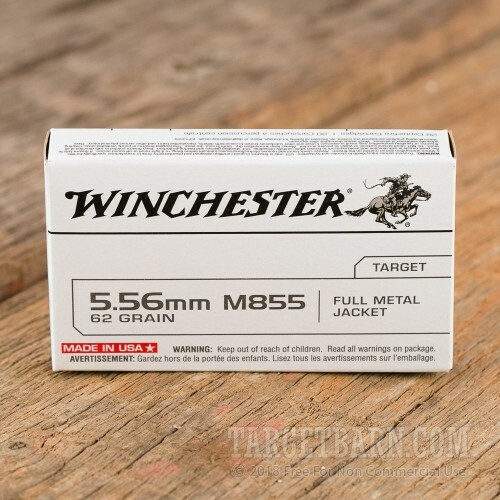 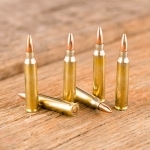 This Winchester 5.56 NATO ammunition is made to the M855 ball standard used by the US military and delivers excellent range shooting for your AR-15. 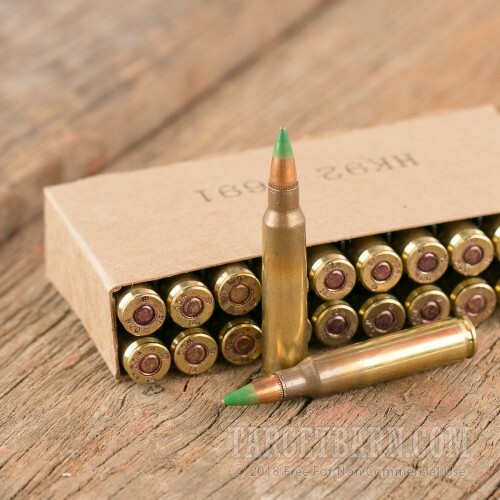 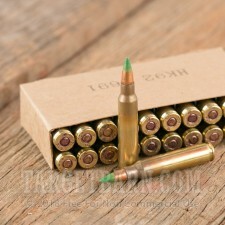 Each cartridge in this case of 1,000 (50 boxes of 20 rounds each) fires a 62 grain full metal jacket bullet at a muzzle velocity of 3,000 feet per second. 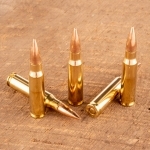 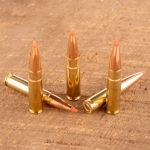 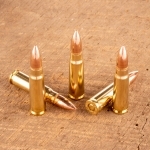 As M855 mil-spec rounds, this ammunition uses non-corrosive Boxer primers and reloadable brass with visible annealing marks. 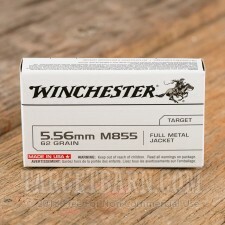 It is loaded in Oxford, Mississippi, the home of Winchester ammo production since 2011.